Senate President Pro Tempore Martin Cuenca has opposed banning political parties and subsequently opposed a roll call vote for the political parties bill, which would make each senator’s vote public. 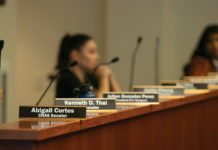 Additionally, Cuenca voted against the ban on laptopping in ASUCR elections and supported allocating $35,000 for R’Gear sweatshirts. Cuenca ran on a platform of cooperating with Transportation and Parking Services (TAPS) to “ensure more parking for our undergraduate students.” He has sat on the TAPS Advisory Committee during his time in ASUCR but little information is available on his accomplishments in this committee. According to senate meeting minutes, CHASS Senator Roy Tongilava met several times with Assistant Vice Chancellor of Auxiliary Services, Andy Plumley, and spearheaded a commuter meal plan that will be implemented in Fall 2018. Tongilava opposed political parties and laptopping in this year’s elections alongside R’Gear, stating that there is “really no meaning to the project.” Tongilava worked on creating the Connections Conference that educates students on different cultures in early winter quarter, supporting his campaign promises of advocating for diversity. Senator Semere Mengistu was active within the black community at UCR, working to increase the campus’s black retention and enrollment rates. He also secured a $1,000 private scholarship for black students, earning him senator of the month for March. He also negotiated funding with Vice Provost of Undergraduate Education Kelechi Kalu for students to go to Brazil’s Afrocentric study abroad program. He voted to ban laptopping but abstained from a vote to ban political parties and was absent during votes on R’Gear. CHASS Senator Solomon Demeku ran on an umbrella rental system for undergraduates that didn’t materialize. Nonetheless, Demeku was active on the Athletics Awareness Committee in order to help promote, market and assist the athletics department of UCR. Demeku voted to ban laptopping but abstained from a vote to ban political parties in the 2018 ASUCR elections. He was excused as absent during a vote on R’Gear in late February. CHASS Senator Reginald Wong has attended senate meetings very regularly throughout winter and spring quarters. There was discussion about a mental health conference Wong was seeking to host but it has yet to materialize. However, Wong mentioned he was meeting biweekly with the director of Counseling and Psychological Services, Dr. Elizabeth Mondragon. Wong ran on a platform of renting out laptop chargers to students, but this has yet to happen. Senator Matt Shashaty has worked to serve CNAS mand pre-health students during his time as senator through his presence at ASUCR meetings, promoting research expos and trying to increase student voter turnout through participating on the Voice Project Committee. Senator Valeria Orozco has consistently been an advocate for UCR’s LGBTQ community and events, and in general has worked to support the interests of Costo Hall programs and the students they help within ASUCR. Additionally, she has helped promote opportunities for CNAS students proving her dedication to CNAS students. Senator Xaypraseuth proposed projects that would benefit her fellow BCOE students, including the installation of nap pods across Bourns Hall in addition to more sleep and study areas for engineering students. Xaypraseuth never implemented those policies and remained silent during senate meetings throughout the school year. She abstained from voting on the motion that outlawed political parties in ASUCR elections. BCOE Senator Patrick Le pledged to devote himself to improving the atmosphere for the engineering student body on campus. He promised to accomplish this by sanitizing the current engineering lounges and study rooms and adding open lounge spaces on the Bourns lawn. To Senator Le’s credit, he did note having productive discussions with campus architects about the notion of implementing external furniture on campus, but these talks never came to fruition. He took responsibility for his mistake during the April elections in which his vote counting program double counted votes. CHASS Senator Grant Nakaoka ran on a platform of increasing aid and assistance for marginalized groups given the relationship California has with the federal government. He sits on the Referendum Student Advisory Committee, or RSAC, which allocates funding from Highlander Empowerment Student Services Referendum (HESSR) for Costo Hall. He spoke of wanting an “R’ rights” program in his senatorial pitch, under which legal aid and assistance would be provided for certain groups who may feel threatened under the current administration. This aid would also be expanded to undocumented students. Currently no evidence of the “R’ rights” program can be found. Advancements on certain issues have been made over the past year, such as the removal of an RSAC stipulation requiring periodic voting on HESSR funding in a quint-annual meeting with Chancellor Wilcox. In November 2017 he also helped draft a resolution called the “Official Declaration of Support for the GSA,” in support of the GSA which would reduce summer SRC fees for graduate students. The resolution has not been voted on. 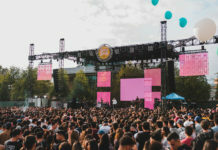 Also in November, he proposed to reboot the multicultural festival and made progress in doing so, although it is unclear if anything has come to pass. He has promoted HESSR, which was on the ballot this April – it failed, however, in meeting the minimum turnout threshold and did not pass. CHASS Senator Carolyn Chang set out with a goal to provide students with better access to information regarding clubs, activities and events by providing that information at the bottom of the Bell Tower. The project to wrap the bottom of the tower in butcher paper so as to stick information directly on it has not come to fruition. Chang has made progress in several areas, including in her goal to strengthen the bond between the Asian Pacific Student Program, the Women’s Resource Center and ASUCR. Her biggest accomplishments were getting four new microwaves in the HUB commuter area and volunteering in the snack wagon. She has made progress in looking into the transfer commuter dining hall plan. CNAS Senator Priyanka Garg ran heavily on a platform of fixing parking on the UCR campus by working with TAPS. This goal was frequently talked about in ASUCR meetings. In an ASUCR meeting on October 19, she shared plans to tackle limited parking on campus by working with TAPS to allow students with a Gold parking permit to park in the Glen Mor lots. She intended to meet with the director of transportation to show why parking is an issue at UCR as well as to get other organizations involved as well. It is unclear whether any initiative or measures have passed, or if more passes are being sold as a result of her actions. She also planned to change the way seating is arranged in organic chemistry classes due to their being organized by grade. The plan is ongoing. CNAS Senator Andrew Ng did not provide a platform or goals to the Highlander in 2017. He sits on the Legislative Review Committee and the finance committee. Ng has helped pre-med professional fraternity Phi Delta Epsilon secure funding for their health conferences both in the fall and spring. He has fostered connections between other health-related organizations on campus and has endeavored to help students considering medical or other health-related career paths. Ng helped Phi Delta Epsilon fill out a budget request for a grant for the conference. He has also aided in collaboration between senators with the aim of improving life for CNAS students. CHASS Senator Dana Dinh promised in her campaign to create a mentorship for pre-business students. Entering into the third quarters, Dinh was unable to deliver on her promise. Her notable accomplishments, however, are her contributions to the R’Closet and Undie Run. Dinh expanded the snack wagon and had the HUB close later during during Finals Week. She was involved in the Civics Engagements committee “One Person, One Vote, One Cookie” to register students to vote in return for an ASUCR string bag and a cookie. Dinh was able to reach out across campus in working with the Native American Student Programs for the Native American Heritage Month and volunteering in the botanical garden sale. CHASS Senator Marco Ornelas had multiple goals in his campaign including banning political parties on campus and having an inclusive campus. Ornelas was able to continue a program that provides free female hygienic products in the HUB bathroom, helped in creating gender-inclusive bathrooms in Rivera library, was in the committee that worked for the annual research expo, voted against R’Gear and voted to end laptopping. In her campaign, CHASS Senator Mariam Alkhalili delivered on her promise to create a more interconnected environment in order to reduce food waste by 15 percent. She worked on creating a food insecurity project, which would have UCR Dining package any overabundance of food to have available for free in R’Pantry. Alkhalili advocated for the Muslim student population by increasing the availability of halal food options and tried to change the campus paper receipts to be BPA free. 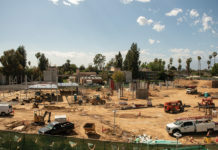 Alkhalili worked alongside Senator Grant Nakaoka and the Native American Student Programs try to have the land UCR is built on recognized as Native American land. After winning a contentious election, President Aram Ayra set out goals to reform ASUCR by increasing representation, especially of women, and bolstering its connections to campus organizations. He also wanted to improve parking on campus and address food insecurity among students. He was successful in several endeavors, including increasing female representation within student government by appointing several female students to the judiciary. As far as reforming ASUCR, Ayra not only added four amendments to the elections code, but also created three new positions which all focused on connecting with other organizations. Following a freedom of speech incident on campus which made national news, he was one of the signatories of “The Joint Statement on UCR Principles of Community.” Notably, Ayra has taken big steps to improve relations between students, neighbors and tenants by putting students in contact with the Fair Housing Commission and organizing community meetings. He was opposed to R’Gear, even vetoing the vote with Johnathan Li and Carisha Moore on the grounds that the money could be better spent, but the veto was overturned after it was ruled illegal. The Vice President of Internal Affairs had a contentious tenure in ASUCR. He is no stranger to controversy as he appointed and initially defended Sammie Ayoub as his chief of staff, before dropping him due to allegations of sexual misconduct that had been brought against Ayoub in the past. He was a proponent of the R’Gear program as well as political parties within ASUCR, which have since been banned. He has had success by organizing or connecting with several events and conferences, and helped boost voter turnout in ASUCR elections with his use of fireside chats. He also contributed to the distribution of scantrons, bluebooks and parking passes, as well as promoted volunteer efforts in the snack truck. Cole, alongside Vice President of Finance Jose Cortez-Hernandez, established a grant for Black Graduation. The Vice President of External Affairs ran on a platform of improving mental health funding, helping students deal with food insecurity and strengthening the community. One of his achievements involved aiding in the procurement of $3 million for the housing initiative fund, which ultimately were used for seismic improvements to the Falkirk Apartments. He also helped create and distribute the “campus student experience survey” to gain information about student relations with neighbors and landlords. Li was also an active participant in various student conferences. He along with Carisha Moore and Aram Ayra vetoed the R’Gear funding allocation which was later overturned on grounds of unconstitutionality. The executive vice president campaigned on a platform focusing on housing and reaching out to the community. She was part of the group along with Johnathan Li and Aram Ayra who vetoed the R’Gear funds allocation, which was later overturned. She helped establish a rule within ASUCR that all senators must meet with the executive vice president every quarter to discuss goals and projects, as well as ensure there are no time conflicts between ASUCR meetings and classes. Moore also cast the deciding vote to ban political parties within ASUCR. She notably instituted a sergeant-at-arms position within the ASUCR to keep the government on track by preventing the use of electronics and other distractions. Austin Mok has been the director of GCAP since 2017 and recently secured reelection for 2018. Mok has been involved in establishing the R’Closet and the UCR Botanical Gardens event, “Plant a Succulent.” His committee also brought solar umbrellas to campus which can be seen in the HUB area. A request for Mok to elaborate on some of his accomplishments went unanswered. Briana Perera has been consistent in her activity to assemble committees established by members in ASUCR. She has hired volunteers for various activities and added a sergeant of arms position in the senate. Perera did not respond to a request from The Highlander to elaborate on some of her accomplishments this year. Connie Wi, as the Director for Marketing and Promotions of ASUCR, was involved in the marketing aspect of R’Gear in late winter quarter and is working on a project to hand out free notebooks to promote mental health. However, there are notable gulfs in activity on their social media, such as Facebook, with several days to a month passing between updates. Likewise with Instagram, the last post was a week and a half ago, at time of writing. The low turnout for the April ASUCR election was in part due to lack of marketing and voter outreach, the former being the responsibility of Wi’s office. Vice President of Finance Jose Cortez-Hernandez ran on a platform of reinstating a system of grocery receipts for food costs. Cortez-Hernandez also campaigned to streamline the application process for organizations seeking funding. Neither of these were fulfilled. He helped establish a $1,500 grant for Black Graduation. Cortez-Hernandez spoke in favor of political parties when the issue was put before a vote (Jan. 7), and campaigned for the $35,285.45 R’Gear allocation. He also brought a judicial case against President Ayra, Executive VP Moore and Vice President of External Affairs Li, resulting in their R’Gear veto being struck down. Outreach Director Serena Cheng planned on visiting area high schools at least once every two months to give a presentation about UCR. Cheng also intended to bring representatives from UCR organizations with her, to offer prospective students a view of UCR’s culture and offerings. Cheng ended up conducting four visits to Romano High School, hosting a college fair at Norte Vista High School and planning a college fair for Riverside’s Poly High School. Transfer/Non-traditional Director Maria Chavez intended to establish a Transfer Student Coffee Night Social, and planned on providing transfer students with fliers describing the resources available to them, which she achieved. In her position as Transfer/Non-Traditional Director, she held the transfer student convocation in coordination with UCR administration. Chavez was consistently present at state of the association meetings, and stayed generally active with regards to expanding services for transfer and non-traditional students. Chavez also hosted a variety of events for transfer students, including banquets and de-stressing events. She promoted R’Gear as important to increasing school spirit, especially for transfer students.